The Valiant still need help tomorrow to reach the stage one playoffs. The Los Angeles Valiant needed a 4-0 sweep to keep their Overwatch League playoffs hopes alive, and that’s exactly what they did last night against the Shanghai Dragons. The win moves Valiant to 7-3 on the season, but their map differential (+13) isn’t enough to guarantee a playoff spot. 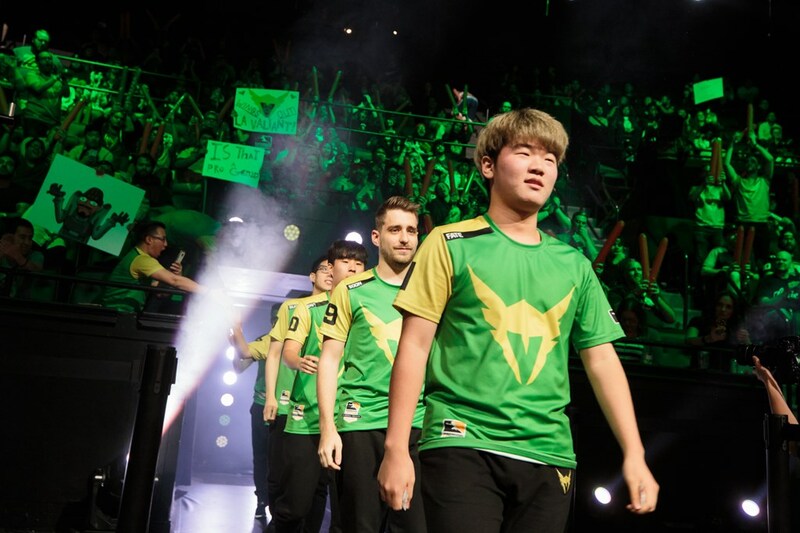 They’ll be waiting for today’s results, rooting for New York Excelsior to sweep the London Spitfire or a Boston Uprising 3-2 win over the Houston Outlaws, which are the only two situations that will push Valiant into the playoffs. The first map, Numbani, was a hard-fought battle. Both teams completed the map on their first attack, but the Dragons had a bigger time bank. That didn’t stop the Valiant, though, who used one of their trademark overtime pushes to capture the control point and push the cart nearly to the end. The Dragons couldn’t match them. Anubis, Ilios, and Junkertown weren’t particularly close. Valiant closed the match out in style on Junkertown, stopping the Dragons from finishing the notoriously easy-to-capture first checkpoint. Los Angeles took care of business today against the league’s only winless team, but they need a little more help to make the stage one playoffs, where the winning team will take home $100,000. Regardless of the outcome, they’ll be happy with their stage one results: a 7-3 record will put the Valiant in a strong spot going into stage two, and they picked up some impressive wins this stage.